The fact that Glinka - the first classic of Russian music, the first domestic composer of the European level, was recognized even during his lifetime not only by enlightened compatriots, but also by such brilliant musicians as Franz Liszt and Hector Berlioz. But Glinka's significance for Russia is much wider than just musical. Glinka created a new Russian language in music, like Pushkin in literature. Glinka himself saw his task as follows: "We have a serious task to work out our own style and create a new road for operatic Russian music." And Pushkin, and Glinka represent - a great miracle. In the childhood of Pushkin in the Lyceum, the brother of the Jacobinite Marat was brought up, Glinka was the Decembrist Kiichelbecker. Both were tempted, both found the strength to throw off this foreign husk and find the Russian soul, both found salvation in the idea of Orthodoxy and Autocracy. I speak the language of the heart. To our God-sent Tsar and Lord! By the way, the idea of the libretto was conceived by Glinka together with Pushkin, and only the murder of the poet stopped this joint work. It is noteworthy that Glinka wanted to call the opera "A Death for the Tsar", and not "Ivan Susanin", as it was originally planned. But Nicholas I said: "The one who gave his life for the Tsar does not die," therefore Glinka corrected the word "death" for "life." During the premiere of the opera, which took place on November 27 in1836, Glinka's music was not appreciated by many high-ranking viewers. But Emperor Nicholas I was very pleased with the opera. During the performance tears appeared in his eyes and he presented Glinka a diamond ring and named the composer "a great master." Henri Mérimée spoke of the opera as follows: "A Life for the King" by Mr. Glinka is the truthful outcome of all that Russia has suffered and poured out in the song. It's more than an opera, it's a national epic, it's a lyrical drama erected on the noble height of its original purpose, when it was not yet a frivolous fun, but a patriotic and religious rite. " 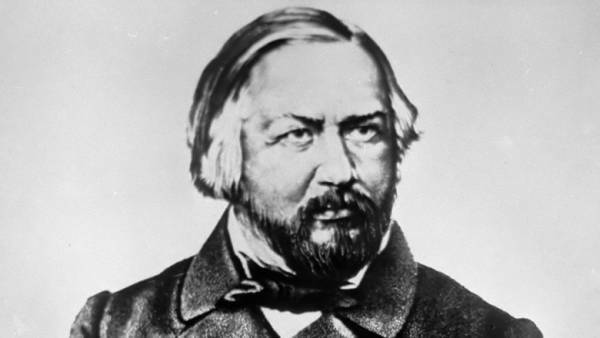 Mikhail Ivanovich Glinka died suddenly on February 15, 1857 in Berlin.